Crickhowell High School has been a Welsh Baccalaureate school since September 2008. Full details of the qualification can be found here. 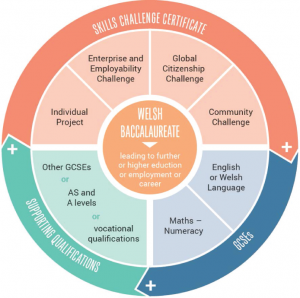 Click here to learn more about the changes to the Welsh Baccalaureate. Employers talk about why they value the qualification. Watch the video here.